You have made up your mind that your next home improvement project will be home automation. You read about it in blogs and see video demos of ordinary people turning ordinary houses into smart homes of science fiction with minimal cost and you wish you could do the same. But where do you start? What do you need to make a computer your house work for you? How can you turn a manual way of life into an automated one? First, you need to know what home automation is to know what it is not. Think about those day-to-day mundane activities you do to manage your home—like cleaning the house, opening and closing the windows or curtains, adjusting the air conditioner and thermostat etc. When you automate your home, you essentially let the computer handle all these tasks and free yourself to kick back, relax, and focus on things that matter. Smart homes were once a staple of luxury homes and science fiction but the advancement of technology has made it a realistic option for an average homeowner.While our definition of home automation is very simplistic, truth is it spans a wide range from a simple security or light management system to a complex system that pays bills and orders groceries. It is easy to get overwhelmed by jargon, devices, and standards but the simplest way for you as a beginner to enter into the home automation arena is to focus on what simple tasks a computer can help you handle in your current living situation. + A lighting control system comprised of smart bulbs or a central lights control system. This should allow you to schedule when to turn on or off the interior and security lights, or have motion sensing capabilities such that the lights turn on when someone is in the room. + A system to set your thermostat and air conditioner based on house temperature and other conditions. This will help save energy because it should keep the devices off when you are away.+ A centralized security system that manages house and gate locks and security cameras. This should be wired to your Wi-Fi or cable communication systems to enable you access live camera feeds or send text alerts when there is suspicious activity while you are away. + An automated system to vacuum your floors. + A device to feed your pets with pre-determined amount of food at scheduled times. These, of course, are just a few examples of the many things you can do separately that make up the holistic home automation system. Think of all those tasks you have to do repeatedly, then find out if there is a way to automate them. Just about anything that depends on a device that runs on electricity can be automated – from opening the garage door when you drive up the driveway to brewing your morning coffee. When you can automate several of these tasks and those that you cannot, they can all possibly be hooked to the central computing system. Making your home management system fully automatic involves complex steps, but it is the only the independent parts that you need to concern yourself with at this level. There are lots of devices in the online market with amazingly efficient sensors and simplified inputs to program and input data, which is then processed and an action or report is generated for you. The best thing about them is that they use standardized output and storage systems that makes it easy to bring all the moving parts together and make them work in harmony. The role of a smart central system is integrate the various smart devices into one seamless, smart, and complex automated home system while offering your streamlined control through multiple interfaces. 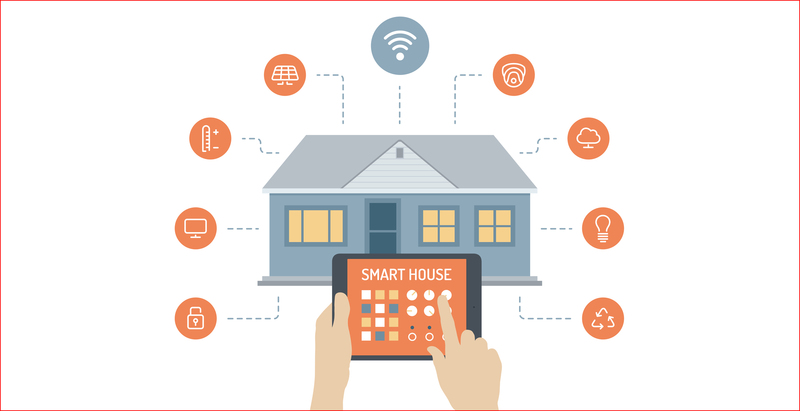 At the end of it, you will be able to control and program these devices from your phone or computer or use an app that goes a step further and automates the control of the complex system.If you have not made up your mind about your next home improvement project, this is it.